The month of May signals that spring sweet spot when there are lots of outdoor activities from which to choose. At this point, we can all agree: We’ve paid our winter blues dues, don’t you think? Out of the many spring events happening in Prestonsburg, make sure to add Levisa Fork Paddlefest to your calendar. On the fourth Saturday of each month from May to September, kayakers and canoers convene at River Park behind Billy Ray’s Restaurant in downtown Prestonsburg. It is here they catch a wave on the Levisa Fork River and make the serene 16.4-mile trek toward Paintsville. It is the perfect opportunity to take in the breathtaking scenery that continues to draw so many adventurers to our town. When Les Stapleton’s term as mayor began in January 2015, he saw the need to re-energize Prestonsburg’s economy through tourism. He knew more creative ways to promote local resources and draw outdoor enthusiasts would be a game changer for the town. “Two things they can never take from us is the natural beauty and the natural terrain. We just had to activate people,” Stapleton said. Thus, the Levisa Fork Paddlefest event was put into motion, and a clean-up of the river was ordered. 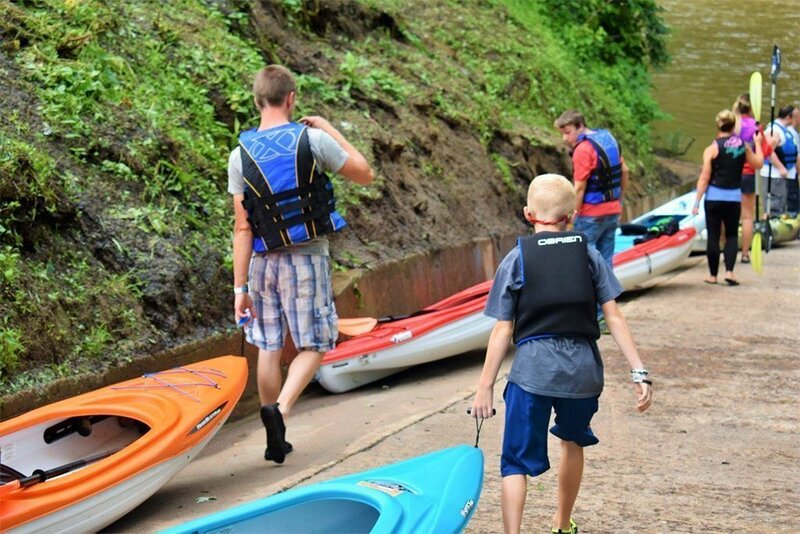 Paddlefest is now in its fourth year and has steadily grown, drawing up to 100 boats each month from Prestonsburg and surrounding areas. One of the advantages of the Levisa Fork River is its slow-moving, gentle-flowing nature. It is easily navigable for families and beginners, but still enjoyable for experienced paddlers looking for a leisurely, scenic trek. If you’re just getting your feet wet as a kayaker, it provides a great opportunity to strengthen your technique and get your bearings on the water with its calm riffles and easy floating conditions. 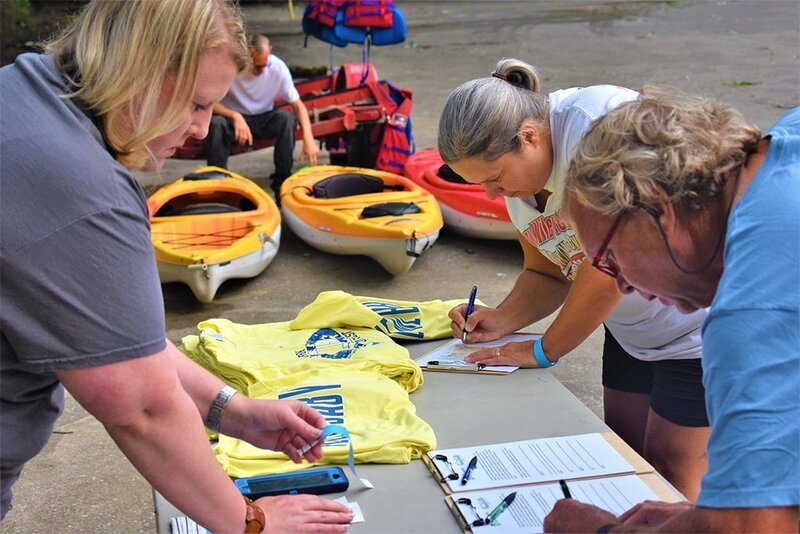 The Levisa Fork Paddlefest has significant local support. It is a family-friendly event that connects Prestonsburg residents to the community they want to see thrive. Life-long Prestonsburg residents Joe and Tiffany Campbell have been kayakers for the last six or seven years and have participated in Levisa Fork Paddlefest almost since the beginning. Joe is the programming director for the Mountain Arts Center. He supports the strides Prestonsburg continues to make as a community. Watching the town embrace its abundant resources, for him, is a matter of pride. “So, it’s been really cool in the last 10 or 12 years to see this progression, you know, things popping up like that — outdoors, recreation in Prestonsburg — because I grew up here and, you know, I’ve seen a lot of changes for the good,” Joe said. Life-long Prestonsburg residents Joe and Tiffany Campbell before launching their kayaks during the Levisa Fork Paddlefest. Over the course of the last decade, Joe has seen the expansion of hiking trails in Jenny Wiley State Resort and Park, and the creation of the Sugarcamp Mountain Trails, Levisa Fork River clean-up and Levisa Fork Paddlefest. He enjoys the opportunity to explore the town where he grew up, now that more hiking trails and paddling options are available. It helps that he can stay close to home instead of making a trip elsewhere in the region. 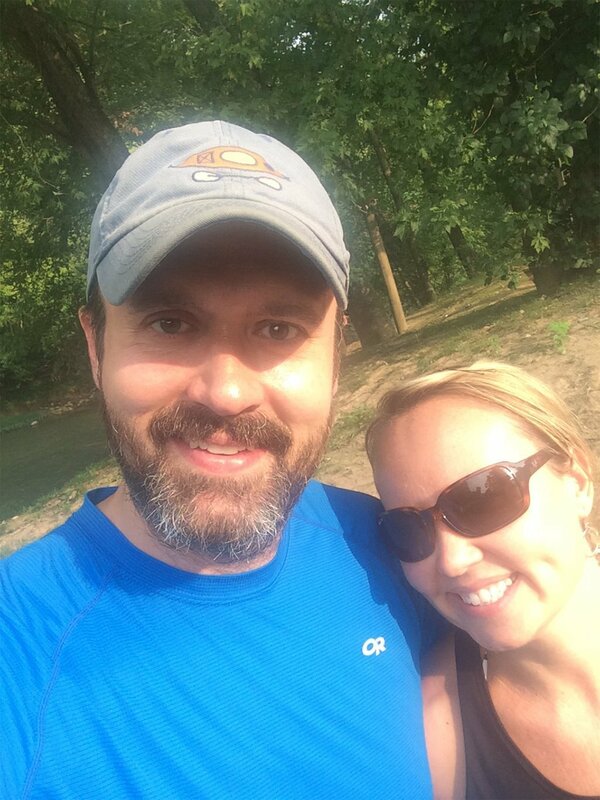 They have floated the entire 16.4 miles to Paintsville, though the option to get out at the halfway point at Harman’s Station is a happy medium for Joe and his wife now that they have a 5-year-old daughter. Another plus of paddling in Prestonsburg? You get the best of both worlds. Paddlefest’s starting location in the city center is convenient, and within minutes you are surrounded by quiet wilderness and “beautiful scenery,” Joe said. Though they weren’t able to get out on the river much last year, Joe and his wife plan to hit the water this summer. They have casually looked at tandem kayaks that hold up to two people, just in case their daughter wants to eventually take part in the family tradition. Levisa Fork Paddlefest will take place this year on May 26, June 23, July 28, August 25 and September 22. Your journey begins in the River Park located down the hill behind Billy Ray’s Restaurant, 101 N. Front St., in downtown Prestonsburg. Free parking is available to participants. Registration is $10, and not only includes a tasty lunch after your river trek but also convenient shuttle service from Paintsville back to your vehicle in Prestonsburg. To register, call (606) 886-1341 or arrive on-site at 8 a.m. to sign up. Launch time is 8:30 a.m. The 16.4-mile trip usually takes anywhere from four to six hours, depending on how fast the river flows that day. There is an option to get out at the halfway point at Harman’s Station boat ramp, where lunch and shuttle service are available along with water and portable restrooms. You can also paddle the remaining eight miles and continue the trek on to Paintsville, where lunch and shuttle service can also be arranged. You can bring your own kayak or canoe, or rent everything you need from local outfitters Pro-Fitness or Jenny Wiley State Resort & Park Marina for $35. Pro-Fitness will deliver rental equipment directly to the river launch location, which includes your watercraft, paddle, and life jacket. Make a reservation at least a week to 10 days ahead of time to ensure you have the necessary equipment reserved. Paddlefest is a yearly event is co-hosted by Prestonsburg Tourism Commission and the Paintsville Main Street Program.